Yes, it’s already Thursday again, can you believe it?? The weeks are flying past, too fast for me, and before you know it, it will be Christmas! Yes, I really did just say that. Gah, wish I could just press pause on life for a few minutes to catch my breath… < >Tonight, I’m going fairly simple, and making extra, as always to have on hand for the weekend. 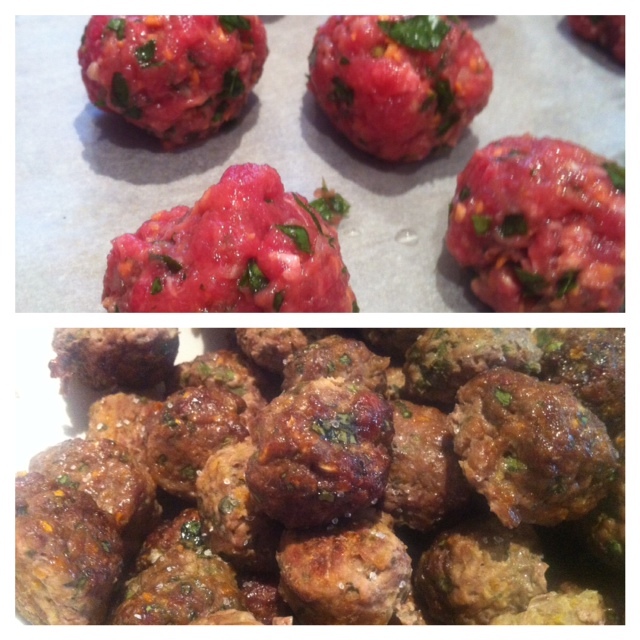 I’m making meatballs, served with greek yoghurt (if I have time I’ll turn it into tzitziki), salad and pita bread. 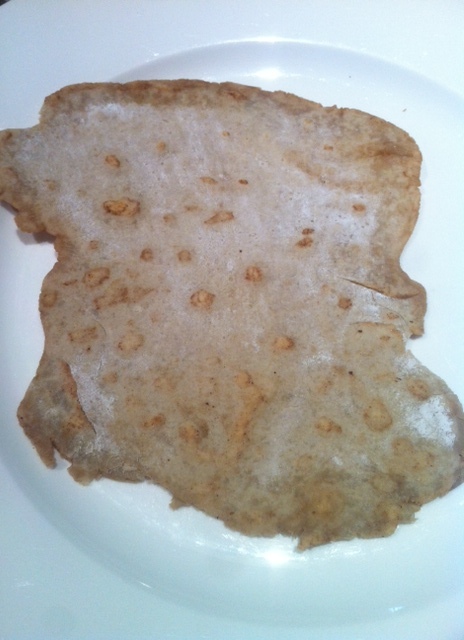 The buckwheat pitas turned out ok actually! They aren’t easily bendable, but good to break off pieces to dip into things. Hopefully hubby likes them! As always, my recipes are throw in this and throw in that, so here is a list of ingredients that I’ll be using, What I put in depends on what I have on hand. Then pop them in a lined roasting dish or baking tray, sprinkle with a little bit of EVOO and bake until browned and cooked through. If I have time, the tzitziki that I make is a cheats version. I grate a whole (small) cucumber, squeeze out the juice, put it with a couple of crushed cloves of garlic in with the greek yoghurt and mix. Let it sit for a bit for the taste to develop, it is always stronger the next day. You could add lemon juice and salt if your yoghurt is very creamy, but I buy one that has a bit of sourness to it. W hat’s cooking at your place? 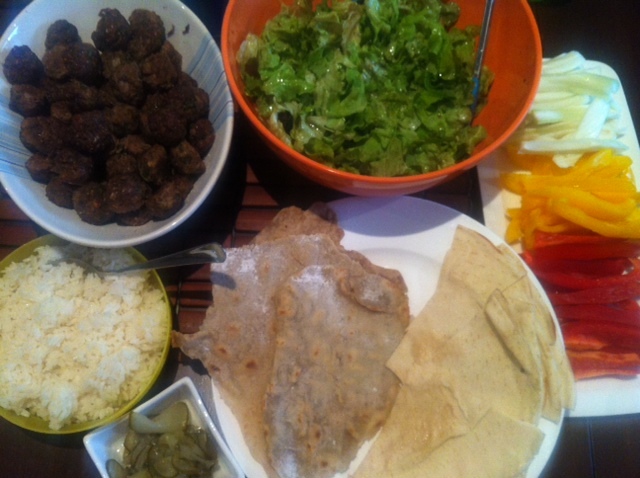 This entry was posted in Blog, Recipes and tagged beef mince, buckwheat, cooking, easy, family dinner, gluten free, greek yoghurt, kid friendly food, kids, meatballs, pita bread, recipes, thursday dinner, tzitziki. Bookmark the permalink.